There’s nothing like confronting the big fist of climate denial in Congress to decide new tactics are needed to cool the planet. In the past week, U.S. climate activists shook off the national election’s punch to the gut and began delivering a few jabs of their own. 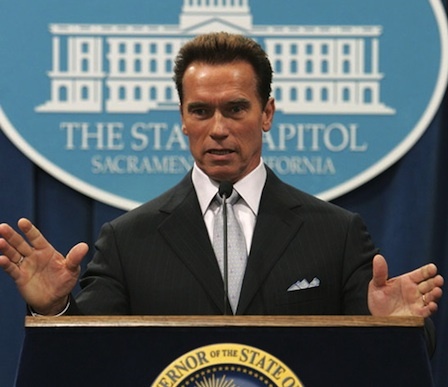 This week in California, outgoing Republican Governor Arnold Schwarzenegger announced the formation of a clean energy financing program to commercialize technologies, reduce carbon emissions, and generate renewable energy. Schwarzenegger described the “R20” global program during his third and last Governors’ Global Climate Summit, which attracted representatives from 80 countries. The public-private partnership of 20 “metropolitan, state, and subnational” governments will also enact comprehensive low-carbon policies within five years. Other than planning to write a book Schwarzenegger hasn’t mentioned any other pursuit after leaving Sacramento in January. Don’t be surprised to see him in a prominent national and global climate action role. His interest in reducing carbon emissions and growing the clean energy industry is keen and authentic.